My favorite new hummus. And that’s saying a lot, because I love hummus, and there are plenty of tried and true variations to which I’ve already pledged my heart. Still, we all know that sweet ‘taters are among my favorite foods, so it actually surprises me that it’s taken me this long to mix them up with chickpeas and tahini. What was(n’t) I thinking? 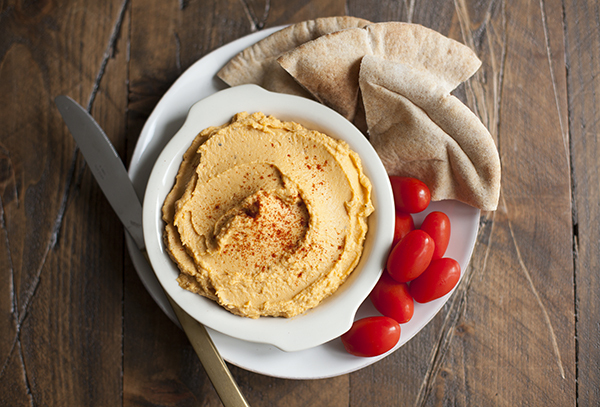 This hummus has it all. It’s tasty, satisfying, and it has both sweet and salty notes. So far, I’ve layered it into Ezekiel tortillas for lunch, scooped it on top of a nutrient dense salad or two, and stuffed it into some raw collard wraps. 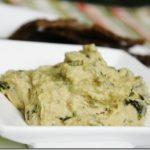 It would be a perfect appetizer for parties, and I bet it would be great for topping veggie burgers. Anyway, this stuff is good. It’s very good. It’s also chock full of the nutrient benefits of chickpeas, including folate, fiber, protein, and iron. I love the rich, creamy texture that freshly baked sweet potato helps to create. Without further ado, the recipe. Place all ingredients except for the water in a food processor fitted with the S blade. Pulse a few times to break the chickpeas down. Run the motor of the food processor and drizzle the water in in a thin stream. Continue processing for 2-3 minutes, or until the hummus is completely smooth. Sprinkle with paprika and serve. 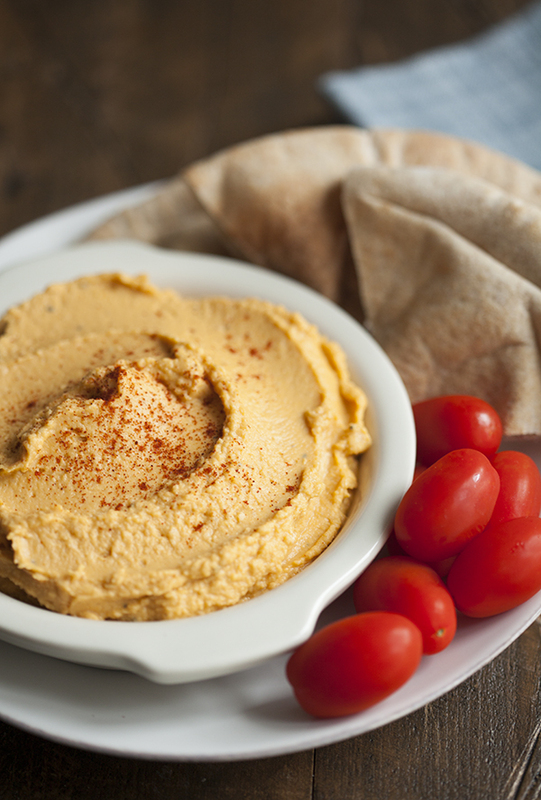 Leftover hummus will keep in an airtight container in the fridge for up to five days. 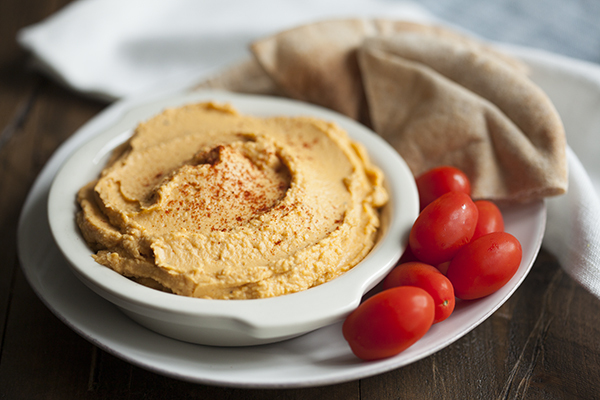 Hummus lovers, this one has your names on it. As you’ll see, I offer both curry powder as an additional flavor option. 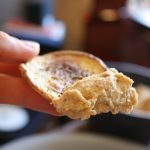 It, coupled with the sesame oil, will give the hummus a more unusual twist, whereas the regular version tastes mostly like a standard batch of hummus that has been married with the sweetness of sweet potato. Either way, you can’t go wrong. Enjoy the recipe, folks. Here’s to a less snowy week! how it can be considered raw if you have to cook the sweet potato?? 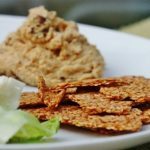 This website features both raw and cooked vegan recipes. This one is cooked. Gina, I love hummus too. This one is healthy as well as tasty. Sweet potato is a rich source of anti-oxidants, vitamins, minerals and dietary fiber. Thank you for being such a great blogger and recipe creator! 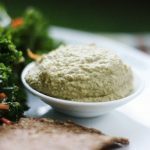 Could I use a vitamix instead of a food processor? You can, though I find that hummus in the Vitamix is a little tough (you have to add a fair bit of liquid to keep it moving and use the tamp attachment quite a bit to keep things churning). It’s totally possible, though!